From the 1950s to the end of the 1970s, many cult-tv series involving space travel predicted that man would, upon setting forth into the final frontier, establish an important stepping stone. 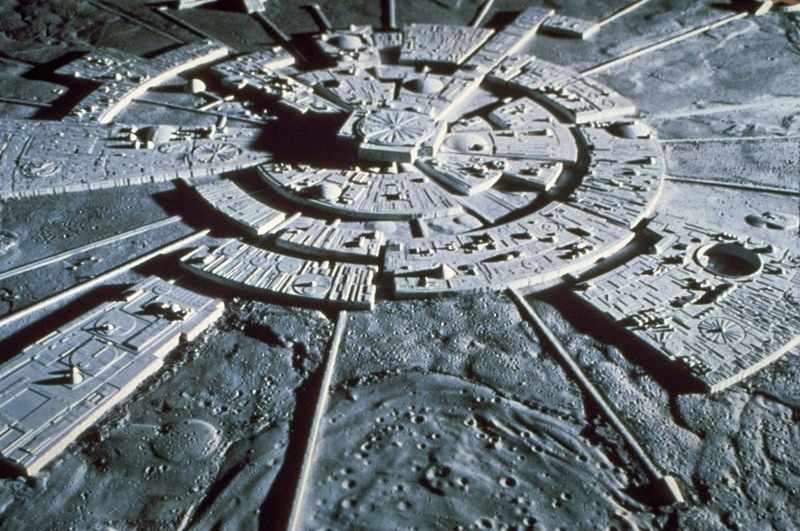 That stepping stone was a moon base, a fully-self-sufficient installation on the lunar surface. In 2012, Mitt Romney mocked Newt Gingrich for proposing a moon base, but on this issue, I’m with Newt. Let’s have a moon base, and have one soon. The moon is our closest neighbor in the stars, we’ve been there before, and it just seems natural to expand humankind to that lonely natural satellite. 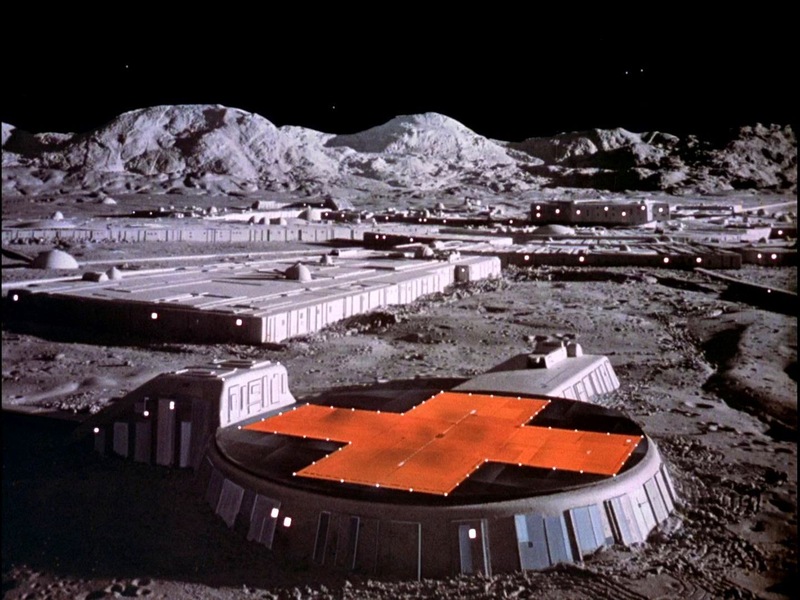 Until that happens, however, we must content ourselves with the great fictional moon bases of cult-television. 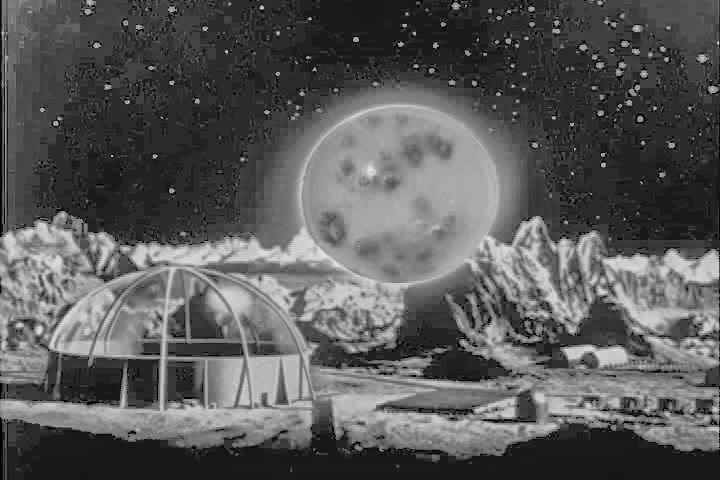 In the 1964 Outer Limits episode, “Moonstone,” a moon base is the hub for all the action when an alien stone -- possessing the intelligence of five brilliant alien scientists -- is discovered by the crew of a lunar facility. Set in the year 2070, the Doctor Who (1963 – 1989) serial “The Moonbase” finds the Second Doctor (Patrick Troughton) and his companions landing on the moon and at an international moon base, only to learn that the villainous Cybermen have cast their metallic eyes upon it for invasion. 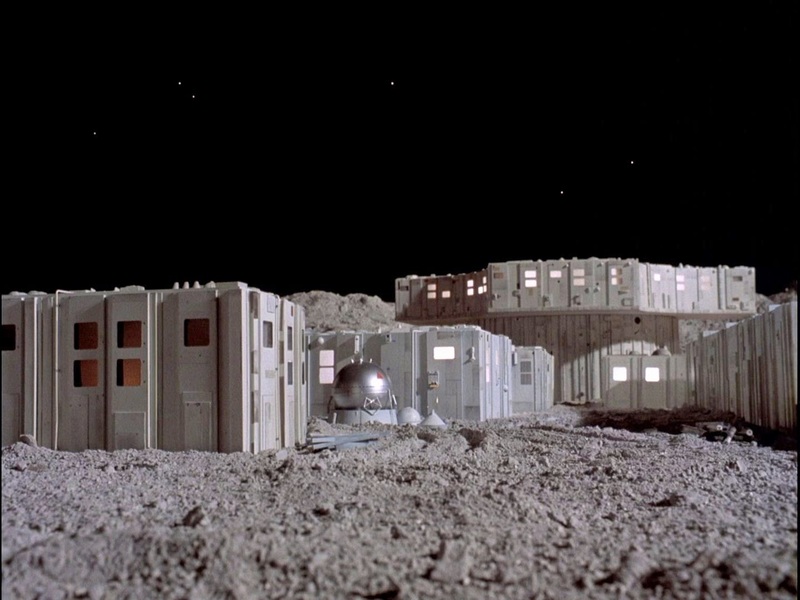 In the 1970s, two beloved Gerry Anderson live-action productions very prominently featured lunar bases. In UFO (1970), SHADO established a base on the moon from which it could launch missile-firing Interceptors so as to stop alien incursions. Many of the officers on the base were female, and wore silver dresses and purple wigs for some unspecified reason. The commander of Moonbase late in the series was one of SHADO’s first recruits, Nina Barry (Dolores Mantez). She replaced Lt. Ellis in that role. 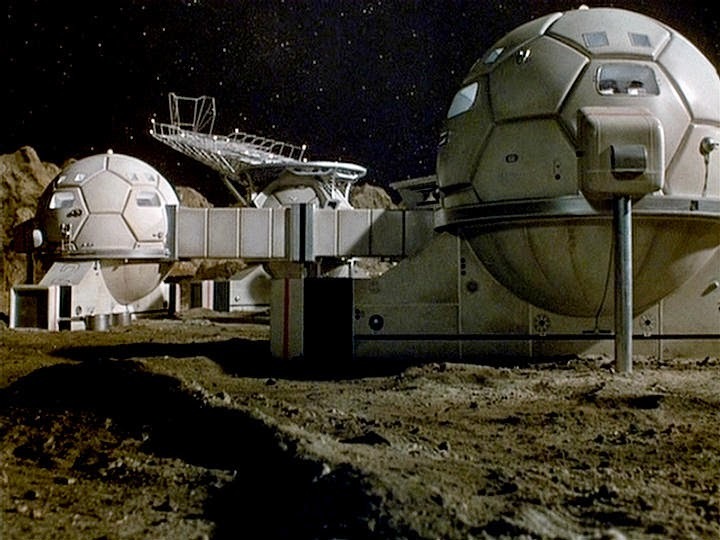 If anything, Space:1999 (1975 – 1977) was even more “moon-centric,” as all the action took place on Moonbase Alpha, a research hub for 311 scientists, technicians and astronauts. Moonbase Alpha’s other job was to monitor nuclear waste dumps, and the base was serviced by a fleet of Eagle spacecraft. On September 13, 1999, the moon was blasted out of Earth orbit, along with Alpha, sending its human crew into deepest space. 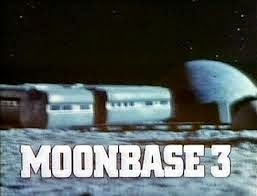 Another British series, Moonbase 3 (1973), was set on a slightly more future date: 2003. The series ran for just six episodes, and was an attempt to realistically depict life on such a facility. 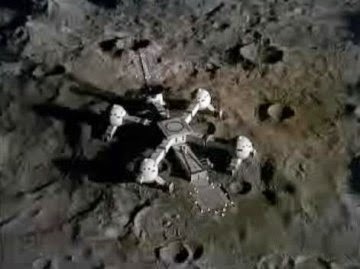 In the series lexicon, Moonbase 3 was the base for Europe, .although the United States also had a base (Moonbase 1), as did The Soviet Union (Moonbase 2) and China (Moonbase 4). The lead character in the series was Dr. David Caulder (Donald Houston), chief director of Moonbase 3. A two-part episode during the last season of The Six Million Dollar Man (1973 – 1978) was called “The Dark Side of the Moon,” and was an adventure set on a modern-day moon base. Earth as seen in The Super Friends cartoon of the 1970s also has a multi-national moon base. And in 1991, a pilot program called Plymouth concerned the colonists living on a moon base. Alas, it never went to series.